My Tuesday fast this week was tough. I was stuck at home with a poorly dog who needed constant supervision, and my usual evening distraction had been cancelled due to the snow and ice. So I did succumb to a bit of nibbling throughout the day, and finally the last 5 Haribos in the packet sent me over the 500 calorie limit. But not by much. Thursday’s fast went brilliantly! I decided to skip breakfast, which was scary, but actually once I got into it it was fine. My tummy only started rumbling after I had my miso soup with celery sticks at lunchtime, and I had a satsuma mid afternoon. I’d made a salad with my favourite low-cal ingredients, but I should have made it the night before – I didn’t want to taste it as I was making it at breakfast time, as I was trying to do without breakfast! 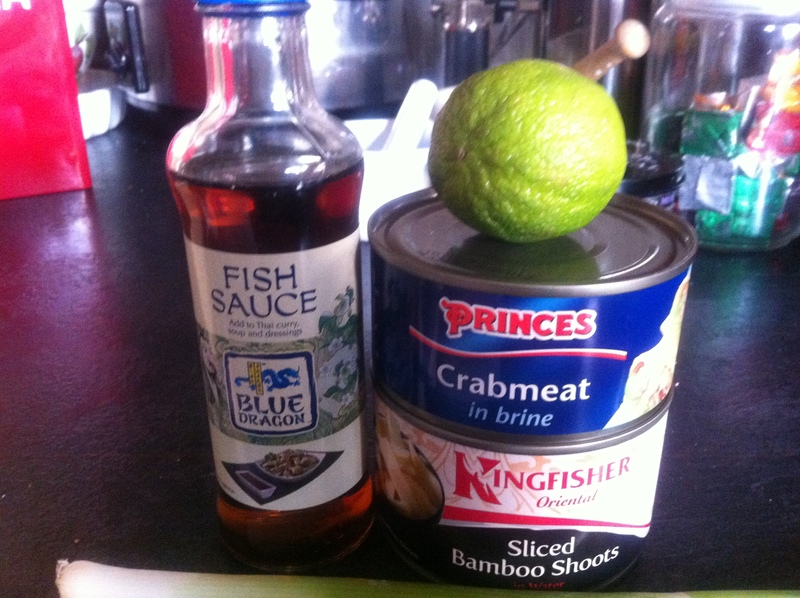 Anyway, I took a tin of crab meat (92 cals) with a tin of bamboo shoots (13 cals), and mixed them with a chopped spring onion, half a chilli, some fish sauce, lime juice and a squeeze of ginger (around 50 cals for the dressing). 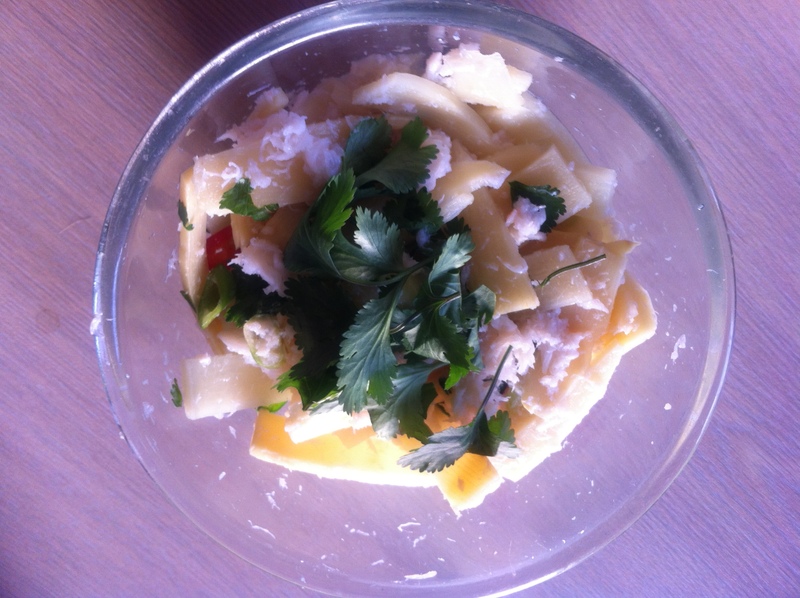 Topped with some fresh coriander leaves. I ate half before going to the leisure centre and doing 30 minutes on the treadmill. Which reminded me how much I prefer running outdoors! And how I’ll miss Max as my running companion – his poor foot means he won’t be running any time soon. I’d been avoiding any strenuous exercise on a fast day, but I was able to keep going for the full 30 minutes at a good pace. I finished the day with some soda water and a slice of lemon served in a wine glass, and even my husband remarked on what a good mood I was in. 5:2 Three Courses for Under 200 Calories! I had a really disappointing non-fast day this week. As usual, I was looking forward to some of my favourite things, but it didn’t end up as good as it had been in my imagination. For breakfast I’d defrosted what I thought was some fabulous cheese and bacon potato bread from a bakery in Comber, but it turned out to be just ordinary potato bread. Oh well, it was still quite nice with some mushrooms, one slice of bacon, and a fried egg (and I broke the yolk as I was cracking it into the pan). For lunch, I’d taken a tub from the freezer labelled “spicy pasta”, which had been there for quite a while and which needed using up. It was VERY spicy, and I hate the way chilli seeds get stuck in my teeth. But really, it was just too much food, and I ended up throwing half of it away. I had a meeting in the evening, and was looking forward to having a fish from the award winning chip shop near by. I ordered a haddock in gluten-free batter. This I find is extra crispy, and doesn’t have the sogginess of regular batter. But the shop then didn’t add vinegar, or the customary handful of chips, as neither of these could be guaranteed gluten-free. Well done to the chippie for being so thorough, but it wasn’t what I was hoping for. I drove down to Victoria park to enjoy my solitary fish, and it started to hail. I went to my meeting where there was a plate of biscuits on the table – oooh, a Jaffa cake! Haven’t had one in ages! It was stale, and as hard as a rock. I came home, and treated myself to 2 squares of salted caramel chocolate. 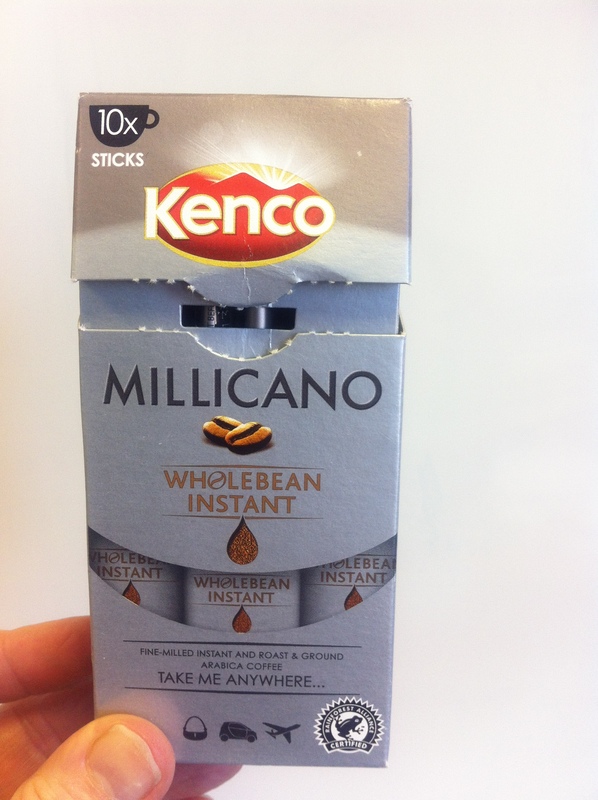 Husband demanded to know what I was eating, and when I offered him some, he finished off the whole block! So I was looking forward to a good couple of fast days, where I knew what to expect. I had a cupasoup for 60 cals at lunchtime, a laughing cow extra light with 2 rice thins as a snack (55 cals), and then for dinner I’d made some rataouille (100 cals), which I was trying with the slim noodle fettuccine. (8 cals). I rinsed the noodles and then dry fried them – they are pretty chewy, and I don’t think I could eat a whole packet in one go, so I saved half for my next fast day. Thursday’s breakfast was the banana pancake again, using the other half of the ‘nana, served with blueberries for a change. At lunchtime I stuck to an 18 cal miso soup, and spent the rest of my lunch hour being very frustrated by the terrible pricing information in my local sports store. For dinner, I set myself the challenge of creating a 3 course meal for around 200 calories. Starter was a finn crisp cracker (20) with a smear of light creme fraische (10) and 3 blobs of caviar (12), served with a handful of samphire (6). Main course was my ratatouille again (70), puttanesca-ed up with some anchovies (13), 5 black olives (25) and a tablespoon of capers (10), on the pasta (8). 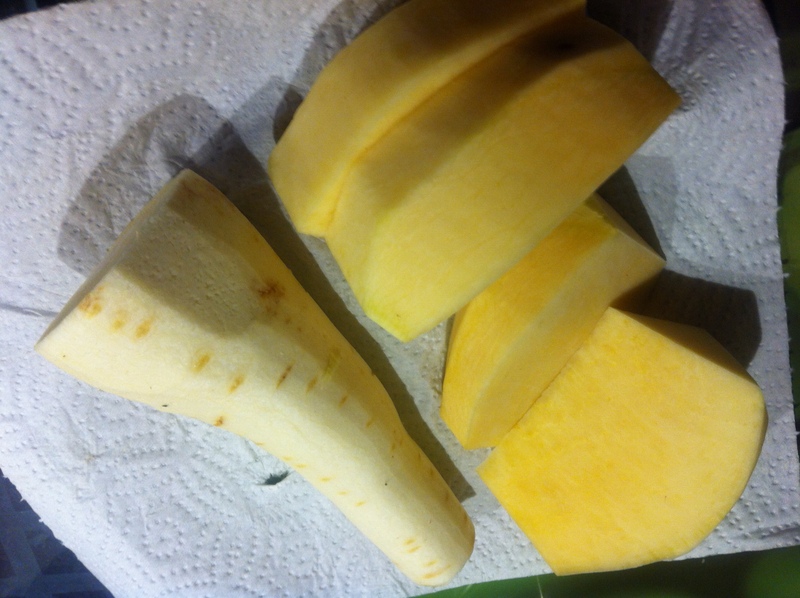 Dessert was a wedge of cantaloupe melon (19) with a teaspoon of ground ginger (6). Washed down with a Tesco diet shandy (10). To be honest, it was all just too much food! I couldn’t finish the samphire, couldn’t eat all the main course, and had to leave the dessert until I got in from dancing later on! 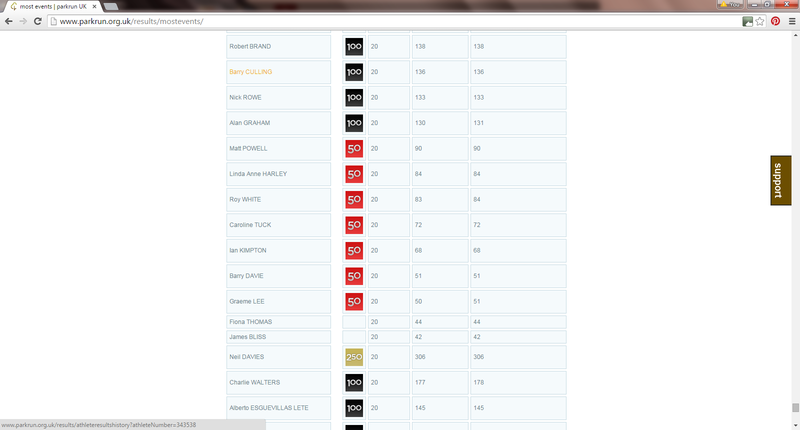 Anyway, just goes to show how creative you can get with a small calorie budget, without resorting to ready meals. I had 2 good fasting days this week. 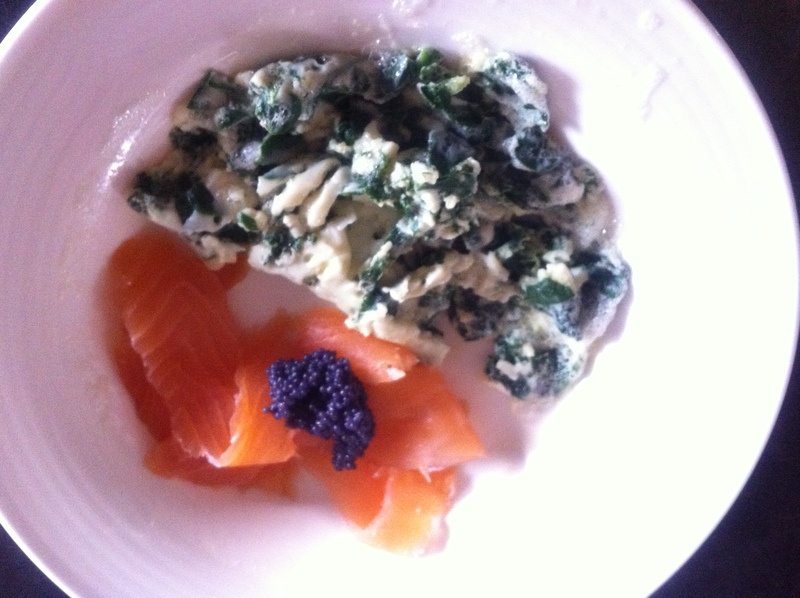 On Tuesday, I had a rather decadent breakfast of egg white and spinach omelette, with a small bit of smoked salmon, and a teaspoon of caviare, which comes in at only 4 calories a teaspoon. 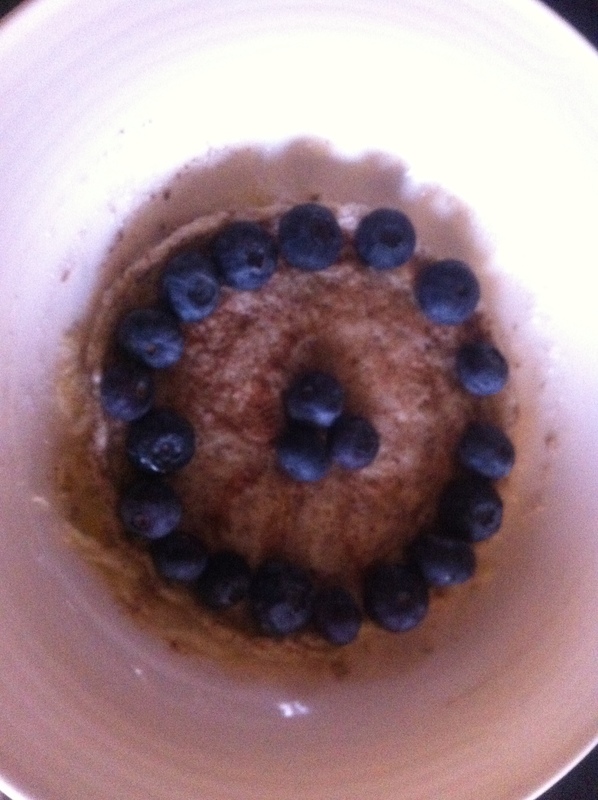 Total breakfast – 100 cals. Lunch was an 18 cal miso soup. For dinner, I reheated the Tom Yum soup I made last week. Sadly, those miracle noodles, though they’d been fine when freshly cooked, didn’t react well to being frozen, and were rather wrinkled and rubbery. 178 cals. I’ve found myself drinking things I wouldn’t normally – at a meeting on the Tuesday morning I found myself enjoying black coffee, though I’m not normally a coffee drinker. 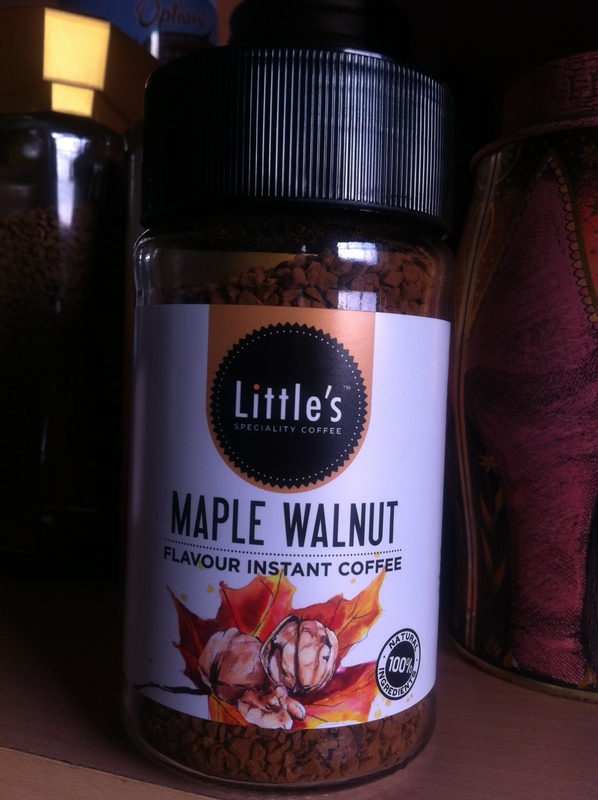 I bought some Millicano instant coffee, and a jar of rather enticing smelling maple and walnut flavour coffee. On Thursday, I blew my daily sugar allowance on a 90 calorie fruit salad – a pot of grapefruit segments in juice, with cantaloupe, blueberries and raspberries. Lunch was another miso soup, which I’m finding enough in the middle of the day, though I did cave mid afternoon and have an extra light laughing cow cheese on 2 weight watchers wheat and oat crackers. 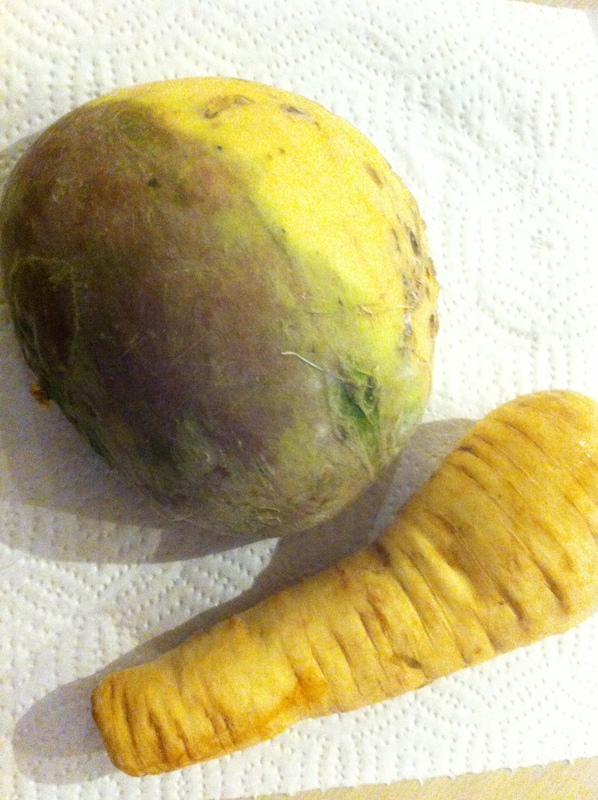 For dinner, I was aiming to make a sort of faux mash, using turnip and parsnips. I boiled the chopped up veg in water with a dash of stock, and when they were soft drained them and added in 2 handfuls of spinach, stirring that round to wilt. 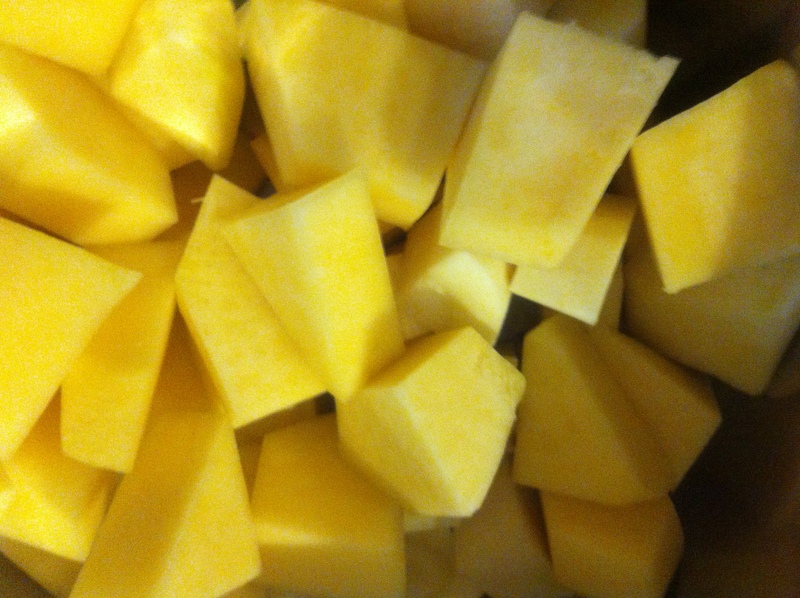 Then I mashed it all together with a potato masher. 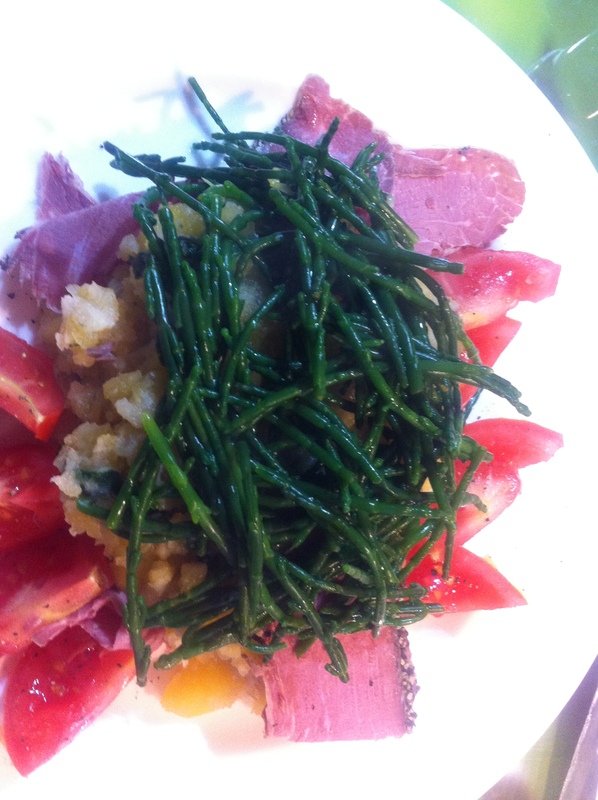 I piled the resulting mash on a plate, topped with a pile of blanched samphire (10 calories for a handful) and added a tomato and some thin pastrami slices. 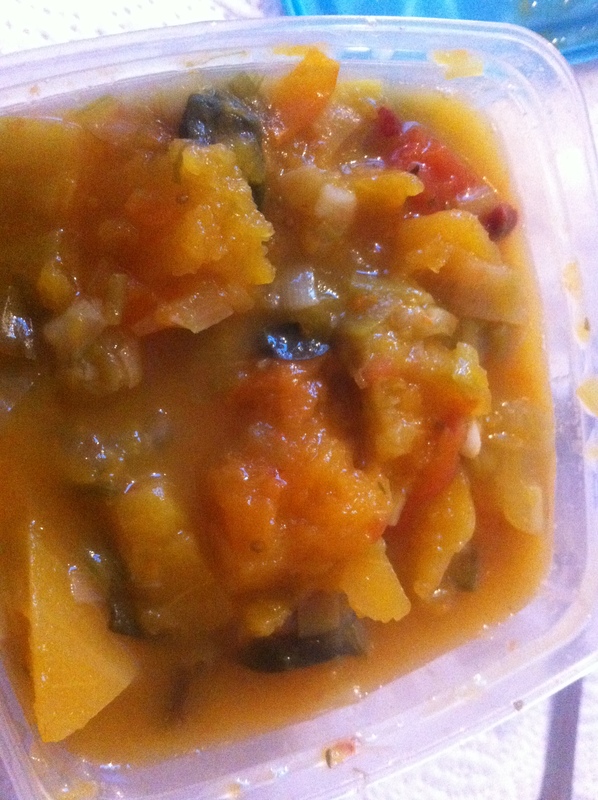 This was a LOT of food – I couldn’t finish the mash – for under 200 cals. Into my 6th week of this – managed to stay at the same weight after last week’s single fast. Was the same weight this week, but my body fat % was down, which I’m happy about. 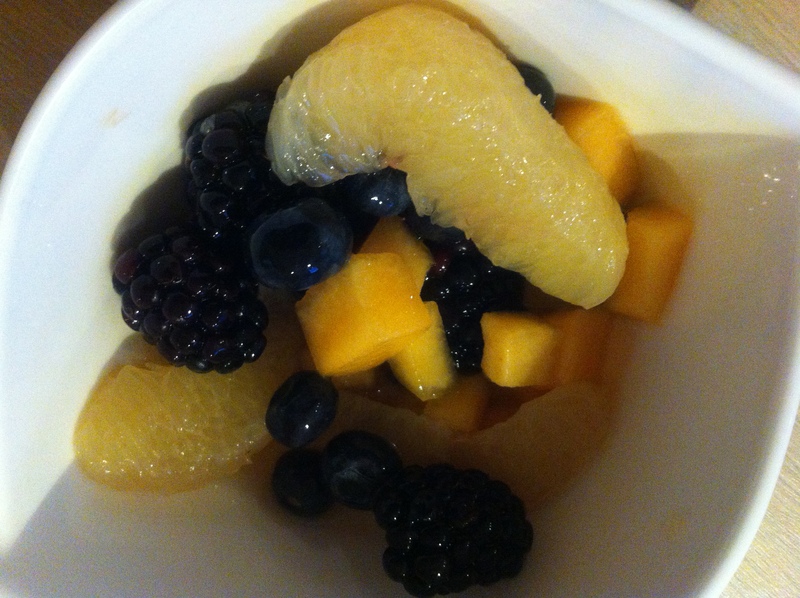 Tuesday’s fast started with a fruit salad – grapefruit, blueberries, blackberries and canteloupe. With careful measuring of quantities, this came in at 70 calories. I’d started 5and2ing by keeping fairly close to my normal intake of breakfast, snack, lunch of soup and salad, snack, and dinner. I’ve managed to cut out the snacks on fast days, and then stopped the salad at lunch, and am now working on shaving that soup down to a minimum. Today it was Tesco Light Choices Chinese chicken noodle, which was lovely and only 43 cals. For dinner, I wanted to use some scallops (90g only 80 cals). I also had some leftover fennel to use up, and about 1/3 can of sliced mushrooms. 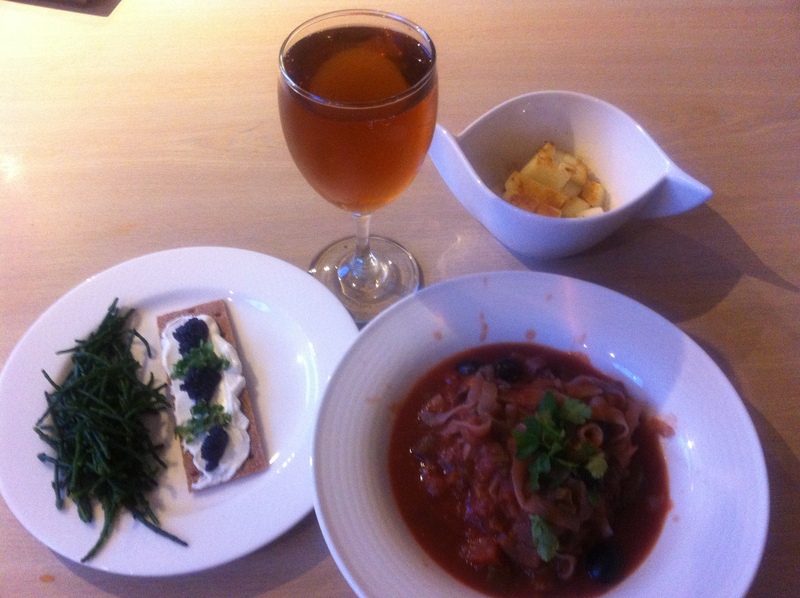 I finely chopped the fennel, and simmered it with the sliced mushrooms in a cup (100ml) of Big Tom spiced tomato juice. 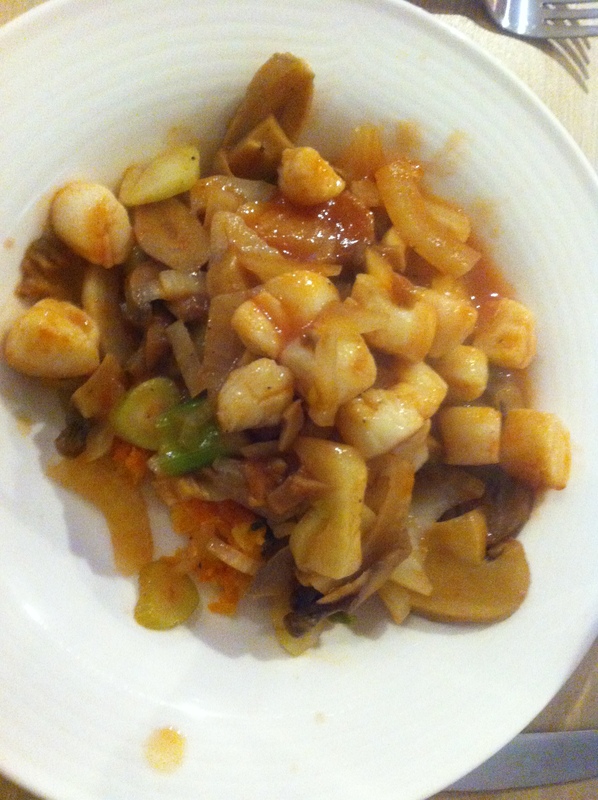 When those were cooked, I added in the scallops and simmered for about 5 minutes. 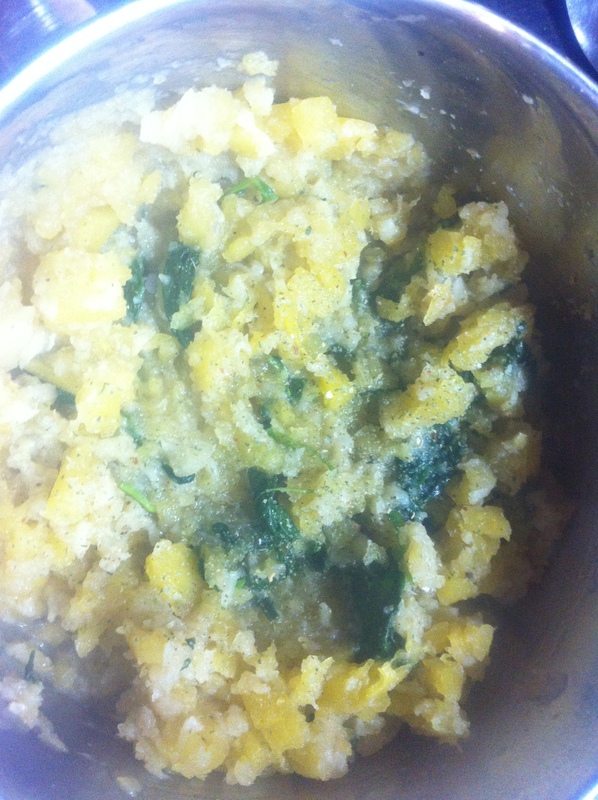 I served this on Aunt Bessies carrot/ swede mash, to which added the leaves off 2 sprigs thyme to give a bit of oomph. The whole very satisfying plateful was about 200 cals. 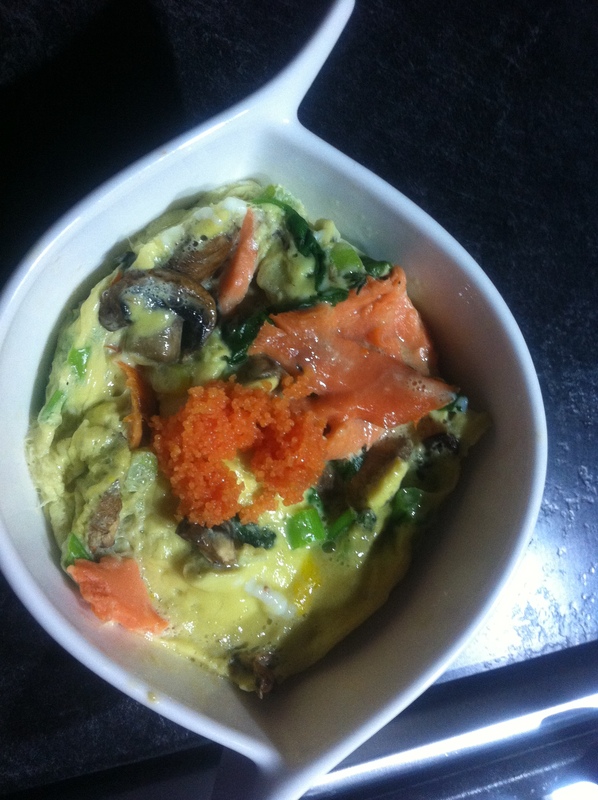 My Thursday fast started with a souffle omelette of one egg, 2 egg whites, and a few mushrooms. I even added a little parmesan for an extra 20 cals. 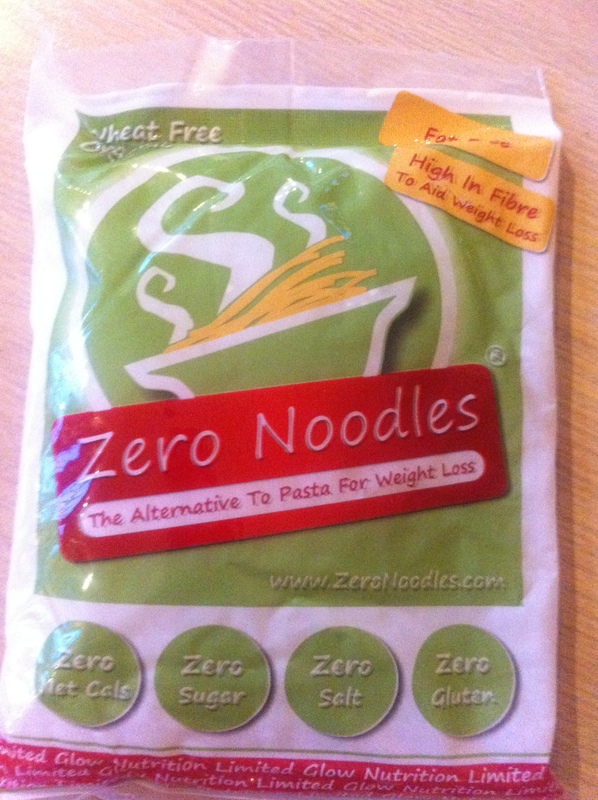 Lunch was a miso soup for 40 cals, and for dinner I was excited to try the new miracle/ zero calorie noodles. 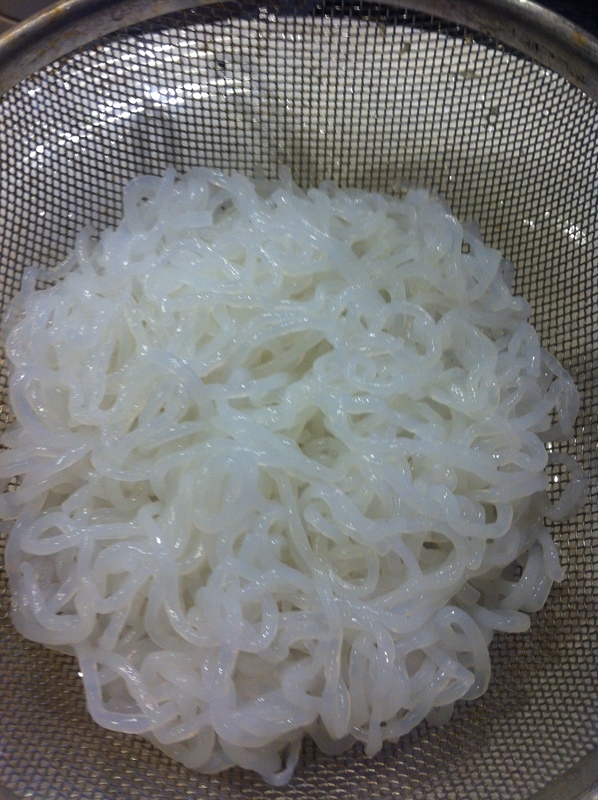 Reviews had made me worry about the smell (it was fine) the faff about preparing (rinse, then simmer in boiling water for 3 minutes) and the texture (they were a bit like rice noodles but totally edible, and I’d have them again.) 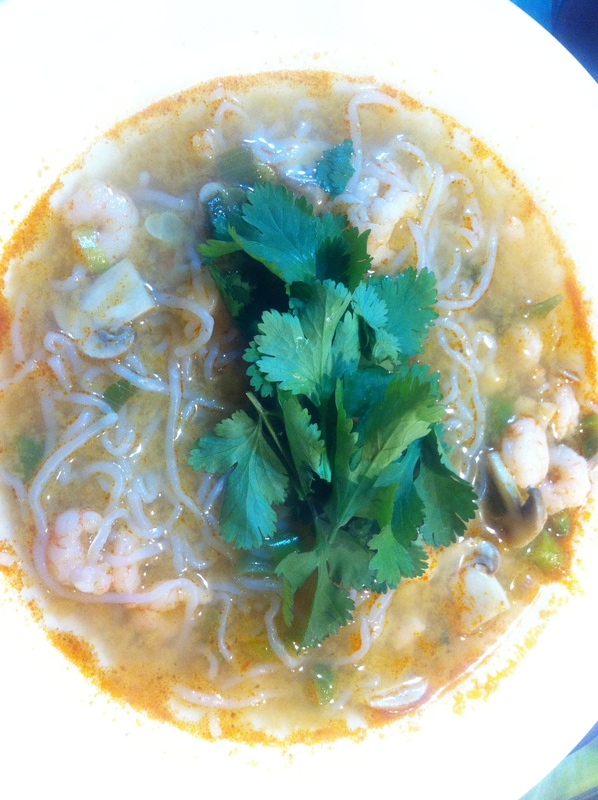 I made them into a Thai soup with Tom Yum paste, chestnut mushrooms spring onion, and prawns. Served with coriander and lime juice. 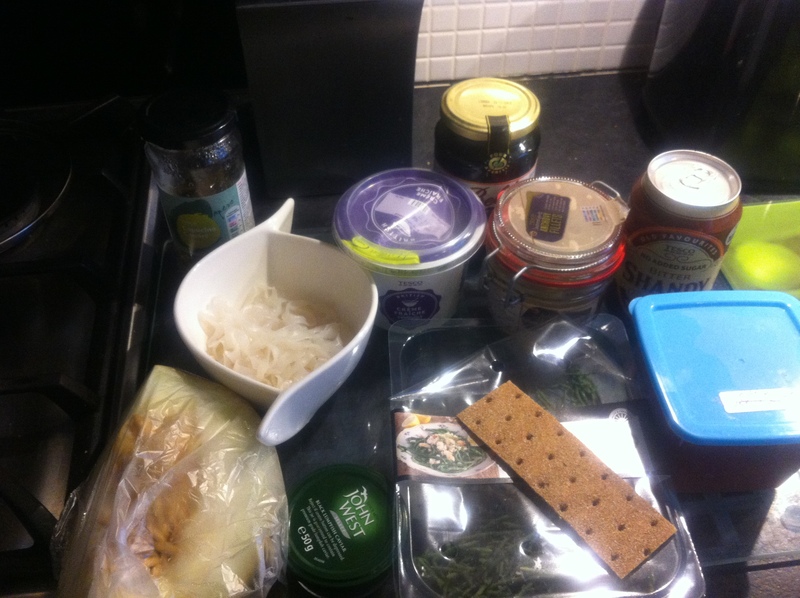 The resulting soup was a huge plateful – the 200g pack of noodles was 2 portions, so I saved half the soup for next week – hope those noodles freeze OK! A big bowl of soup came to about 175 cals.